In Lower Manhattan, at 8:46 a.m. this morning, the St. Paul’s Church Bell of Hope tolled in honor of the victims of the 9/11 attacks. 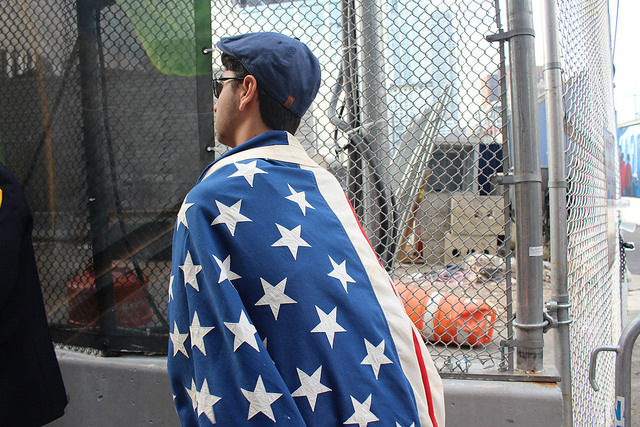 Standing across the street just outside of the World Trade Center Site, wrapped in and American flag, was Edward Olaié. 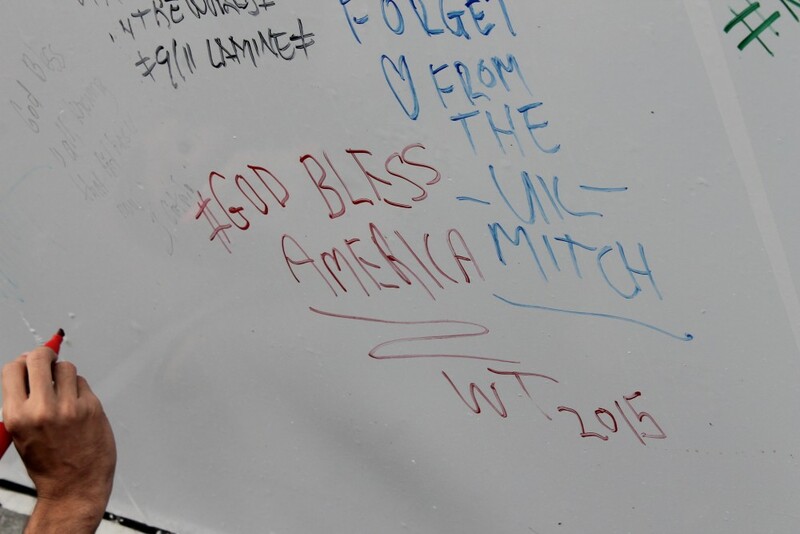 For many Americans, 9/11 is a day in history to be forever remembered. 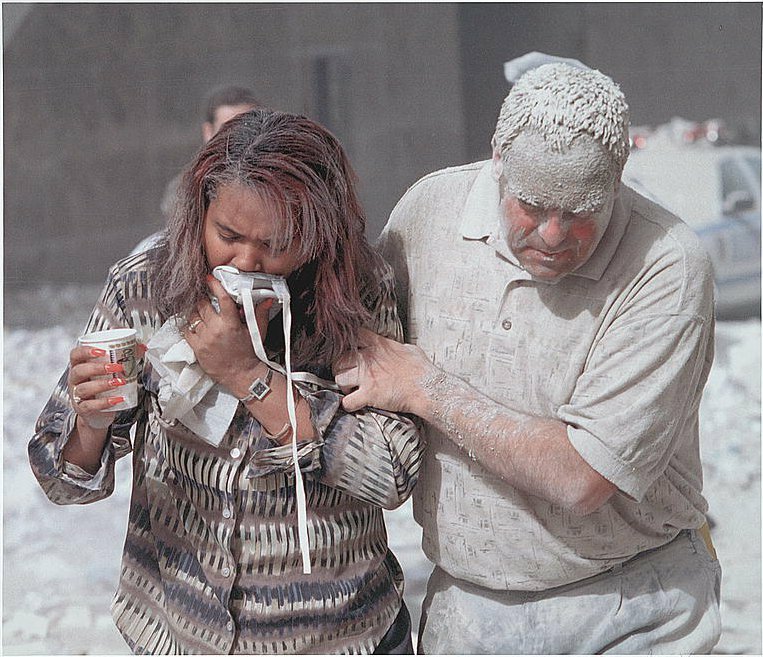 On the early morning of September 11, 2001, four passenger airplanes were hijacked: one was crashed into the Pentagon in Washington D.C., one into Pennsylvania and the other two into the Twin Towers of the World Trade Center in New York. Around 3,000 people were killed, over 6,000 injured and in the following years major changes were made to airport policies and American defense. But only three-years-old during the attacks, Olaié, 19, has no actual memory of the tragic day in American history. The Kew Gardens, Queens resident is among a group of Americans with no direct memory of this day or a pre 9/11 America. There is nothing for them to compare it to or memories of that day for them to share. With the average age of a high school freshman being between 13- 15, no one in the ninth grade and below would have been born for the events of 9/11. Those a few years older would have little to no memory of the day. Yet the day still resonates with them, despite not being able to remember or having been born for it, as a day for paying their respects to those whose lives were lost. “It hit all of New York and America, so I come down here to pay respect to people who lost their families and to New York,” Olaié, said standing in the cloudy, cool morning air. Olaié was taught about the event in school and felt inspired by what he learned. As the clouds began to disappear and the sun shone through, North New Jersey resident Brayden Ortiz, arrived with his father to also pay his respects for the lives lost. 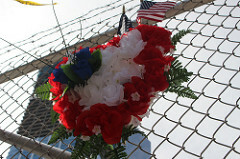 An American flag and order of flowers hung on a fence outside of the World Trade Center Site. Photo by Brelaun Douglas. Having not been born yet, Ortiz gets his knowledge of the events from what he is taught in school. Mason Gray, 14, also uses what he learns at school to form his perception of the day. Born two months later in December, Gray sees the events of 9/11 as a testament to America’s strength and resilience.